A man has been arrested and charged for a string of early morning burglaries that occurred in Montgomery County. 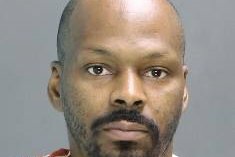 Larry Rafiq Samuels, 37, of the 2700 block of Glenwood Street in Philadelphia, was arrested Friday for the burglaries of five Elkins Park homes on July 19. Samuels allegedly took several measures to enter the homes and yards of several residents, cutting through a screen window in one house and jumping a fence to flee after one homeowner's alarm went off. Cash and electronics were stolen from the homes. When police investigated the incidents, the electronic devices stolen were used to track down Samuels. Among Samuels' charges are burglary, home invasion, theft, and prowling at night. He was arraigned on Friday by Magisterial District Justice Kate McGill and his bail was set at $500,000 cash. A preliminary hearing will be on August 13, 2015.